Ellen Dickinson is Director of Bell Programs at Yale University, and College Carillonneur at Trinity College in Hartford, Connecticut. Over twenty of her students have completed the exam process to become Carillonneur members of the Guild of Carillonneurs in North America (GCNA). She has served the GCNA in many capacities, including as vice president. In 2016, Ellen conceived and executed the largest new music project in the history of the carillon art, commissioning “50 for the 50th,” 50 new works in honor of the 50th anniversary of the Yale Memorial Carillon. The 50 commissions consisted of 47 pieces of concert music for carillon, an illustrated children’s book “Rosie Meets the Carillon,” a book of 48 carillon studies in all keys (composed by Ellen), and an historical exhibit. 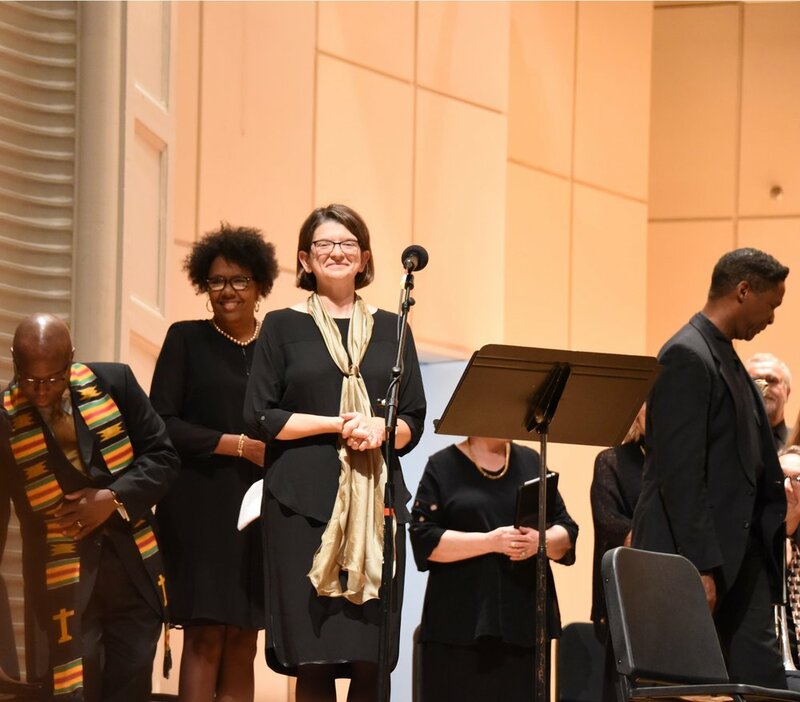 Ellen is Artistic Director and co-founder of Music on the Hill, an independent music organization with four performing ensembles and music education opportunities. Over a period of twenty five years, Ellen served as Music Director and Organist of five churches. 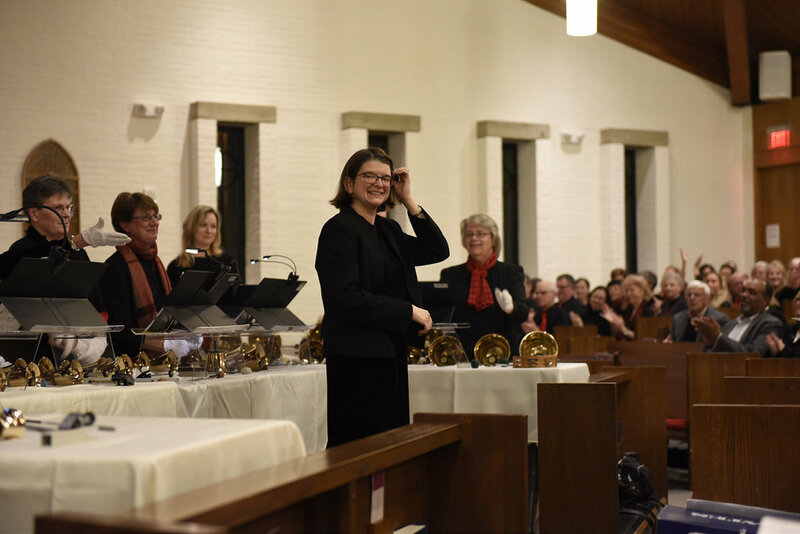 She has been the founding director of nine different ensembles, and has introduced many people to handbell ringing. Ellen holds the Master of Music in organ performance from the Yale School of Music and Institute of Sacred Music, and the Bachelor of Arts in music from Yale College.